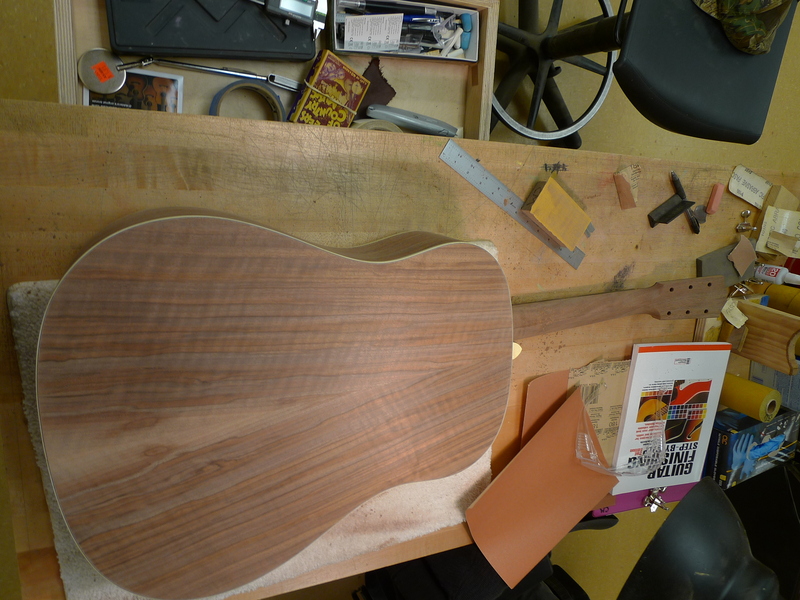 With one week left of my program, I’m making all haste to get both the guitar and mandolin finished. Boy! I cannot wait to play-in (put some pick scratches) these instruments. I’m afraid that I’ll be hauling the freshly lacquered guitar around too much; on the other hand, I believe the spirit varnish of the mandolin should be just fine. 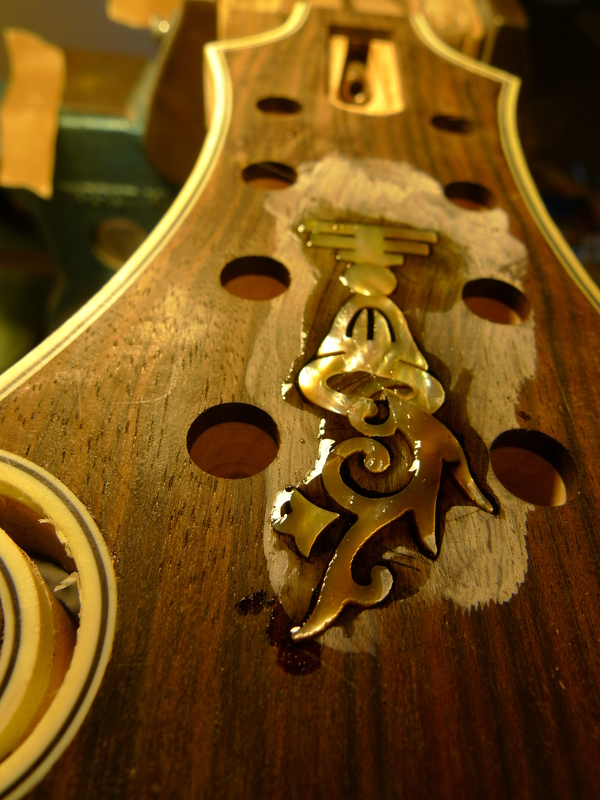 It is amazing, the amount of fine detail work that goes into a well-made instrument. 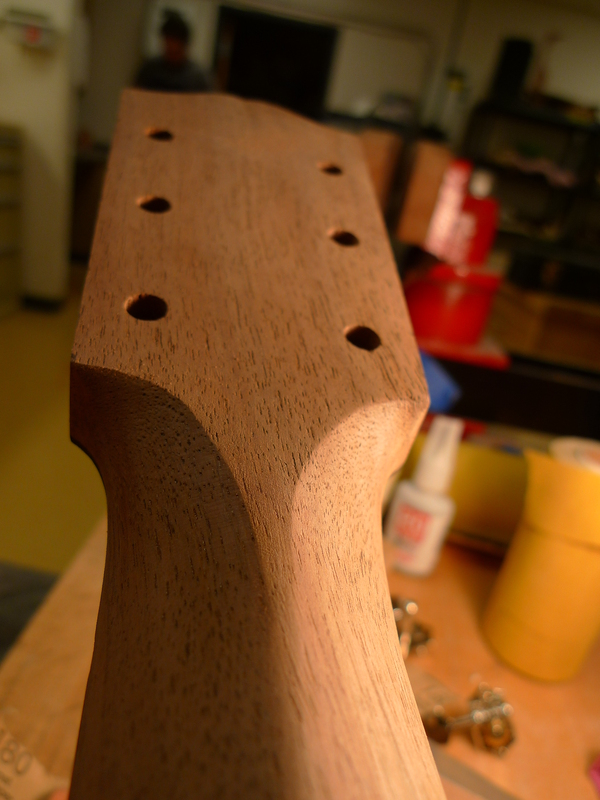 Just when you think you’re out of the woods, BAM, you start sanding out the scratches, going finer and finer. Then, all the imperfections rear their ugly heads. So you do the best you can, and sand, scrape, sand, inspect, sand, and so on. Meanwhile, I’ve been making practice boards to dial in my sunburst colors and spirit varnish technique. It actually makes a nice way to break the monotany of sanding all of the nooks and crannies of the F5. So far, I’m pretty pleased with the results of a combination of orange dewaxed shellac as a sealer and glaze; with Tru oil as a topcoat. first step of routing for inlay; white tempera paint, pencil outline, then rout with dremel tool. 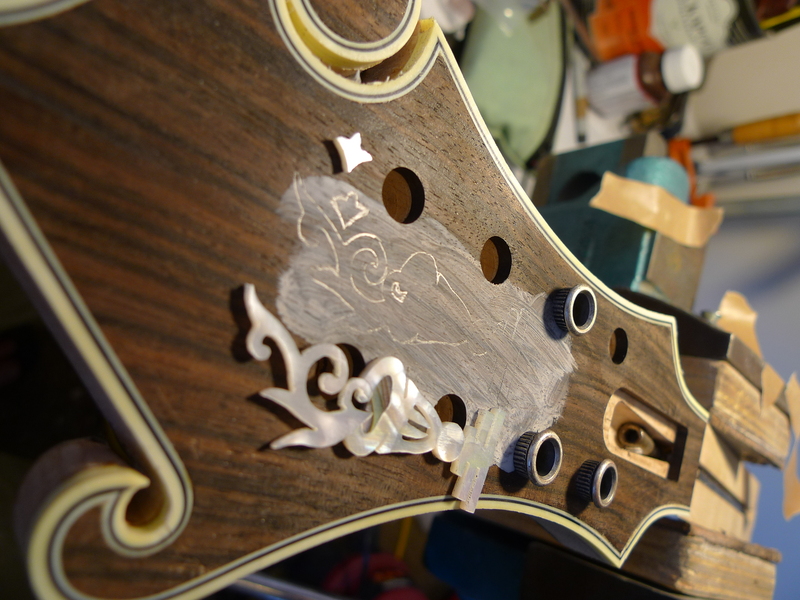 Next, flood with tinted super glue, and get that inlay in there! am thinking seriously of buying an Arches A-5 kit from Chris. I recommend it. The kit was top notch. At the time, it was his first batch offered, so I only had partial instructions to go on. I muddled through just fine though. I did not find Chris helpful as a support person, but keep in mind that he is a one man show and a father, so you can only expect so much. 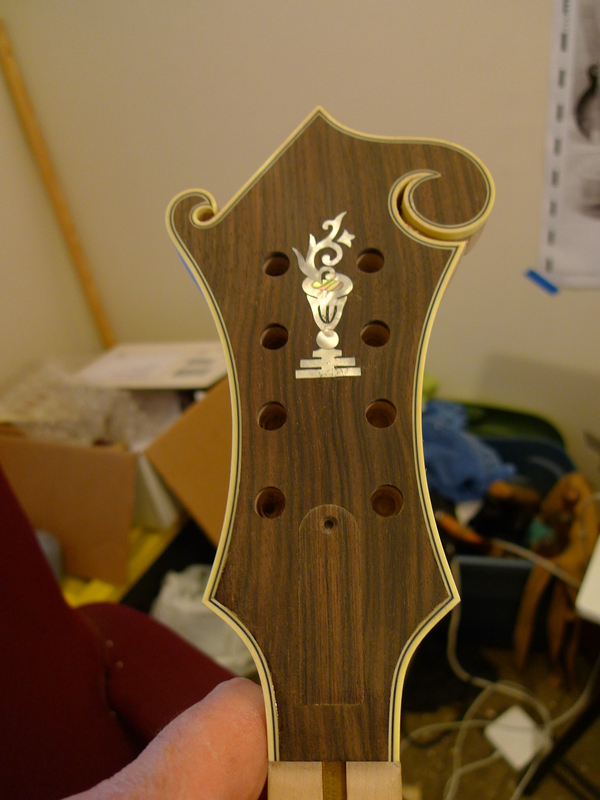 The kit went together perfectly, and the finished instrument is really good, I think you’ll like it.